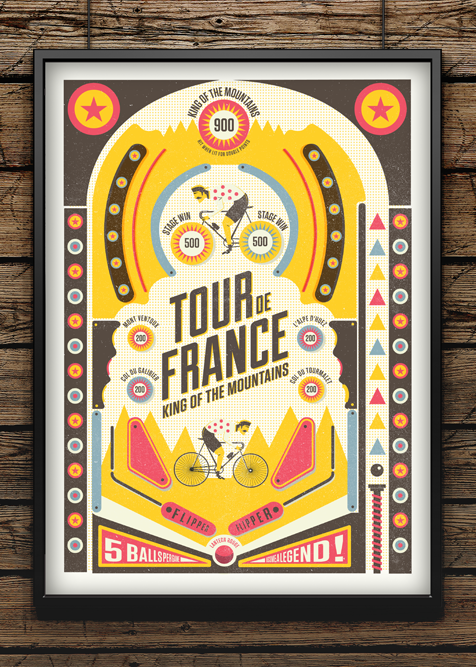 King of the Mountains Pinball by Neil Stephens, from £30 unframed. I really love Neil Stephens’ work: colourful, light-hearted and imaginative. Plenty of cycling prints on his crayonfire site but I particularly thought this one would be a great Christmas present for that climber in your life. Profits also go to a good cause*. Make sure you check out all his other work as well, you might find something for the non-cycling fan in your life. I’m in love with his Shipping Forecast prints! The work of Handmade Cyclist has been featured a few times this year already (and pretty much in every Christmas Gift Guide I’ve ever written for VV) and I’m just going to keep on featuring them because they’re great. 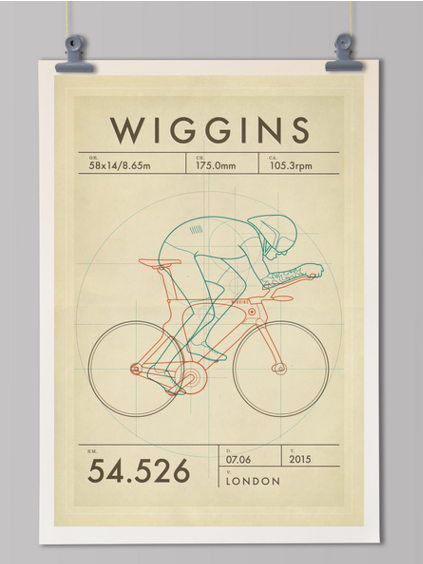 This new series of prints around the Hour Record is quite special indeed – simple and modern yet with an air of nostalgia to it. They look like something you’d stumble upon if you were browsing through the National Archives (a very high accolade in my book). 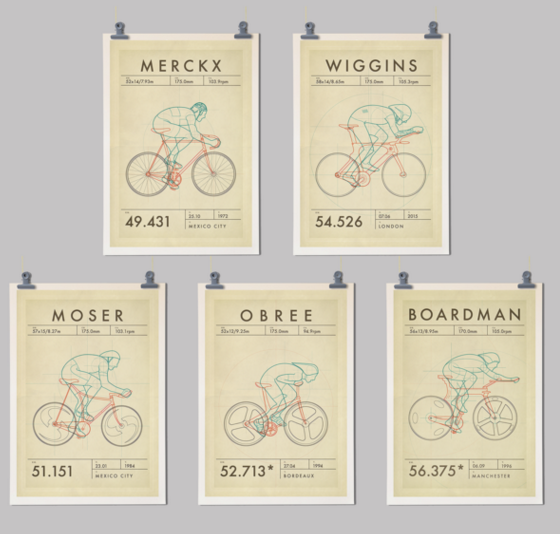 There are five prints in the collection: Wiggins, Boardman, Merckx, Moser and Obree – order separately or as a set. There are tons of other great cycling photographs (and mugs!) on the site so make sure you have time to browse. Giclee print, archival ink on 300gsm art paper, unframed. A3 poster, £30; A2 poster, £40; UK postage c.£4.50. Order the entire set for a special price: 5 x A3, £115 (normally £150); 5 x A2, £155 (normally £200). 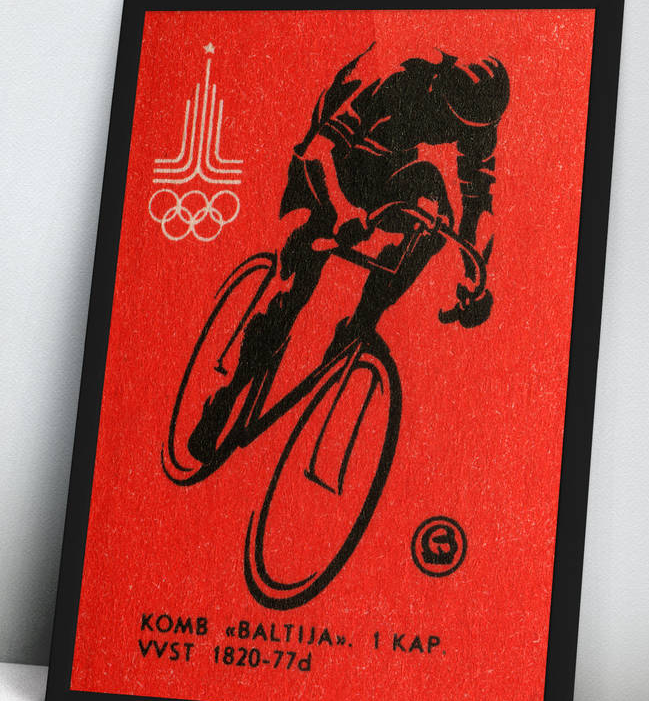 If you’re feeling nostalgic, why not go for this Moscow 1980 Olympics cycling print. Based on a vintage Russian matchbox label, this simple design in saturated red is perfect for the cyclist with a bold visual taste. This and more retro Olympic designs from Ink & Sons available through Not On The High Street. Printed on smooth heavyweight art paper using the latest pigment ink technology for stunning colour and longevity. Prints are unframed but made to standard frame sizes. A4, £18; A3, £27; free UK mainland delivery. 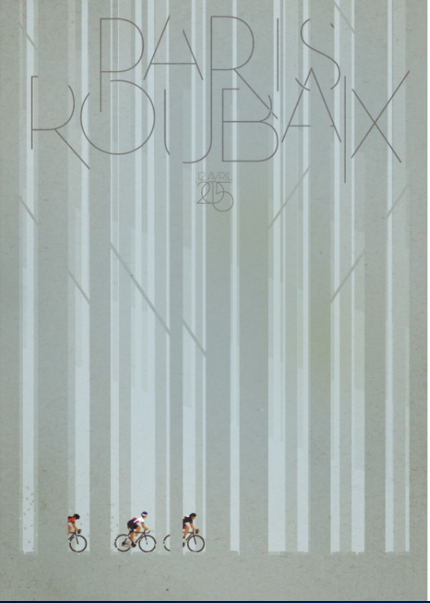 Oh, you know how I do love the spring classics, especially Paris-Roubaix, and luckily it inspires illustrators as well. We interviewed Bruce Doscher a few years ago and have been keeping up with him ever since. This print is a limited edition of 50 and each is signed and numbered. There are still some available but be quick. 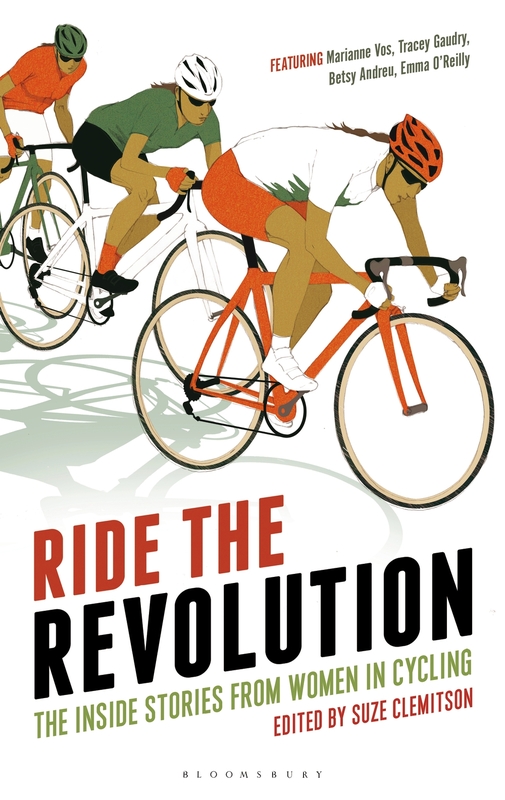 And, of course, check out all the great Tour de France posters he has on his site – so many wonderful prints to choose from. Prints are on felt-marked, 250gsm, Tintoretto Gesso paper with great texture, feel, and sturdy thickness. Approx 11 x 16 inches or 27 x 39 cm with an extra inch border for matting. Sold unframed, they fit in a standard sized 18 x 24 inch frame. From US$40 (about £26) plus postage and packing. Available at a special price from Bloomsbury sport at £9.34 (45% discount). Hardback. NB: As most of these posters are from illustrators who do their own printing and fulfillment, be sure to check with each company as to last order date for arrival by Christmas. All posters are sold unframed. Thanks! I like to find stuff that’s not run of the mill and also to support those small independent creators. I have prints from both Handmade Cyclist and Neil Stephens at home. I love them both.